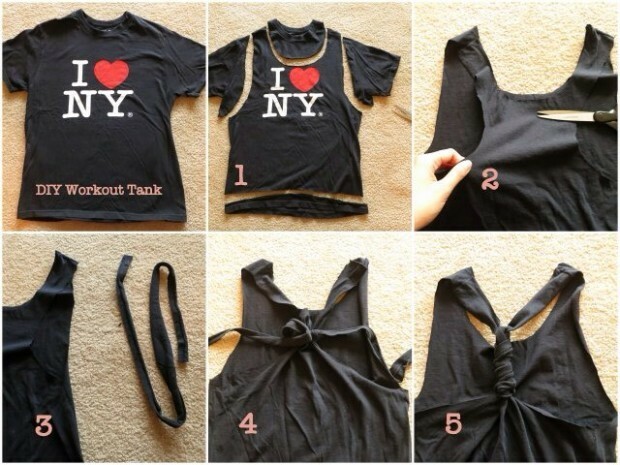 In wardrobe of every woman there are few shirts that she does not wear. 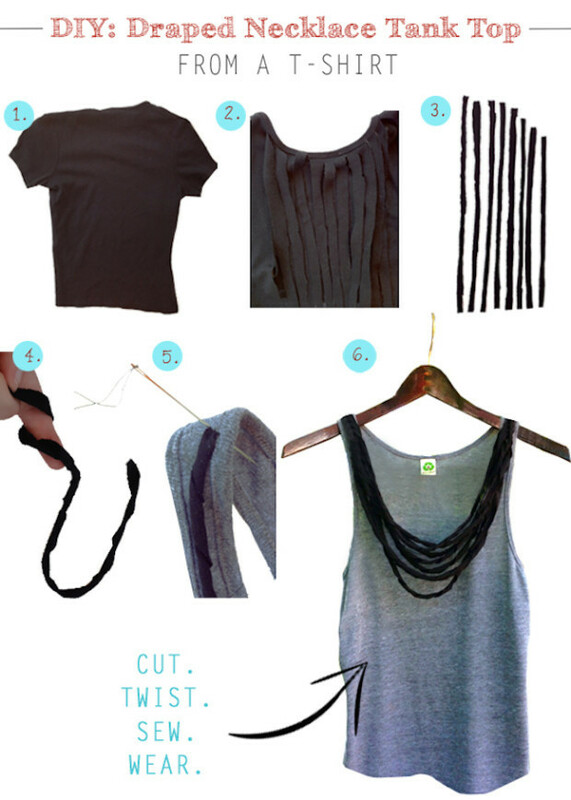 If you want to clear your wardrobe and make an order, don’t rush to throw away old clothes. 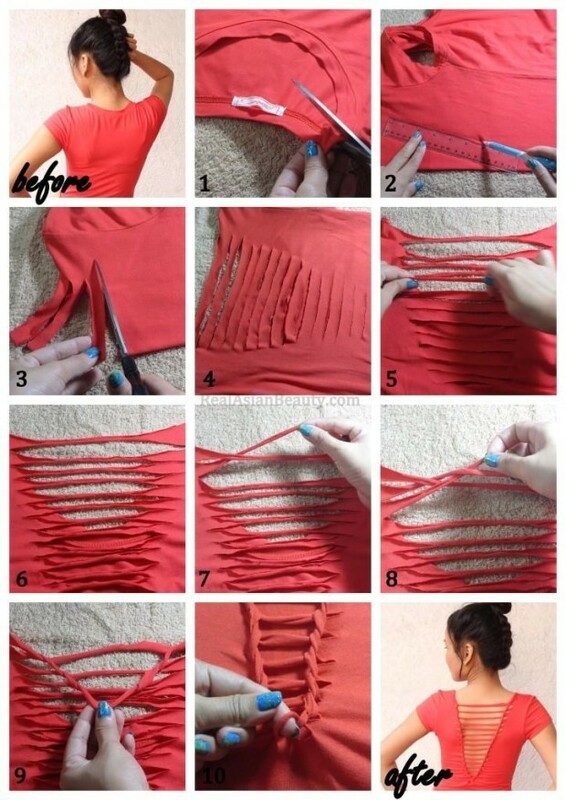 Be a little creative, and your clothes will have a new look. 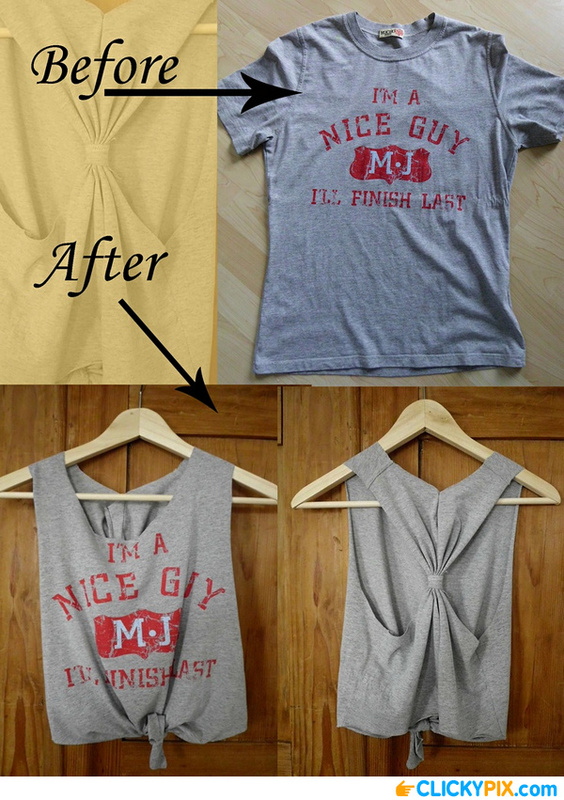 If t shirts are with stains that are difficult to remove, and for you that is a very dear and do not want to throw away – do not throw away. 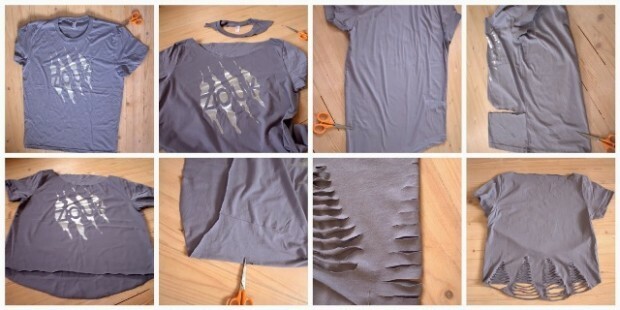 On the place where is stain, you can set interesting application. 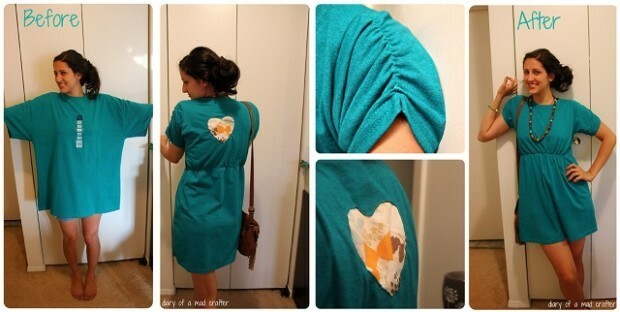 With that, the shirt will look like new and the stain will not be seen. 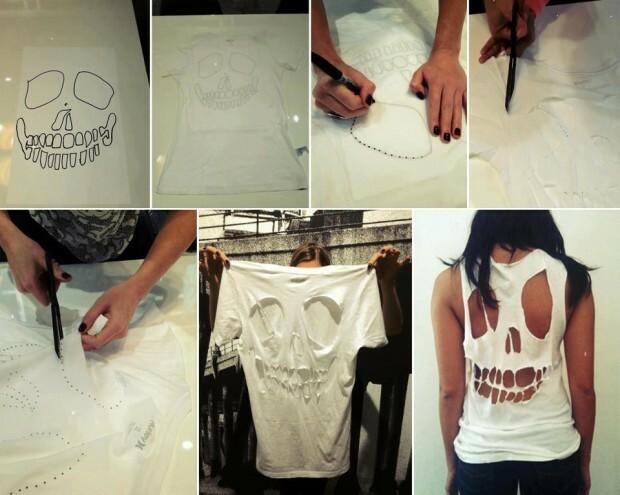 To old t shirt you can give a new look if you use your imagination. 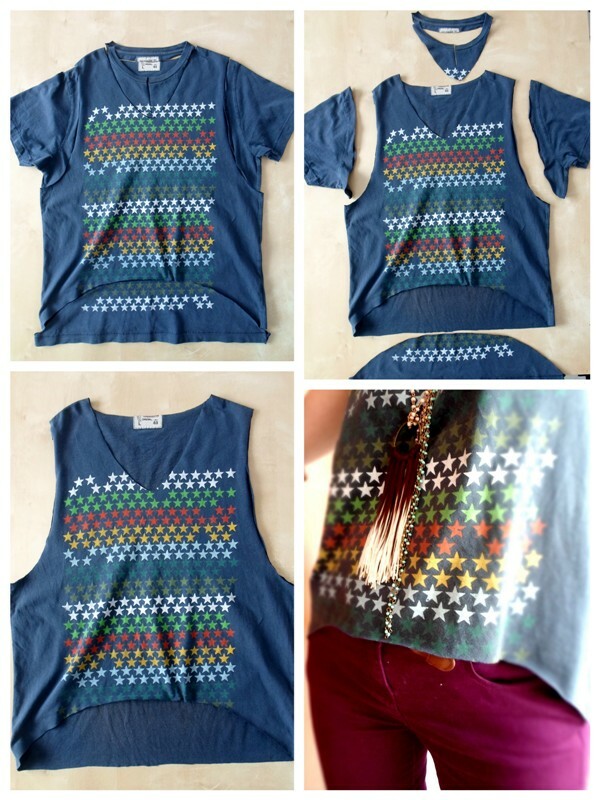 Before you begin, make pattern as you want to restore your old t shirt. 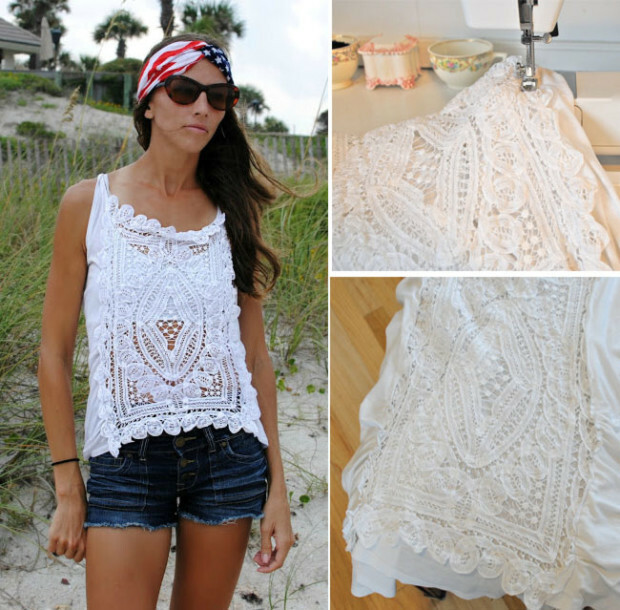 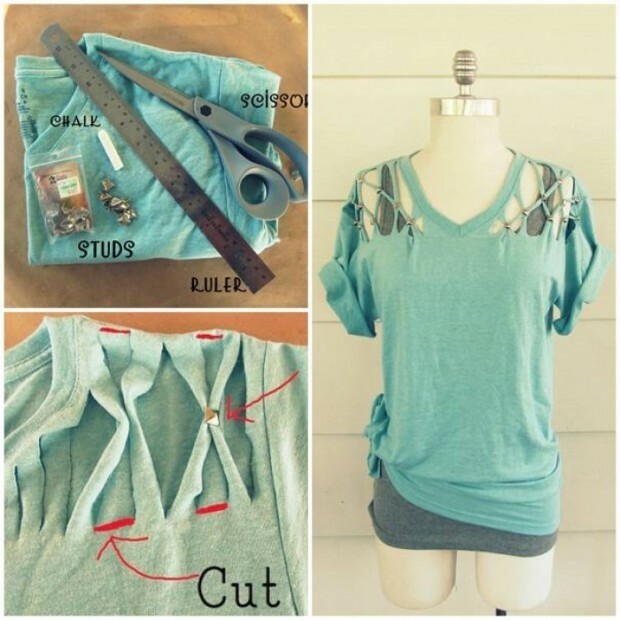 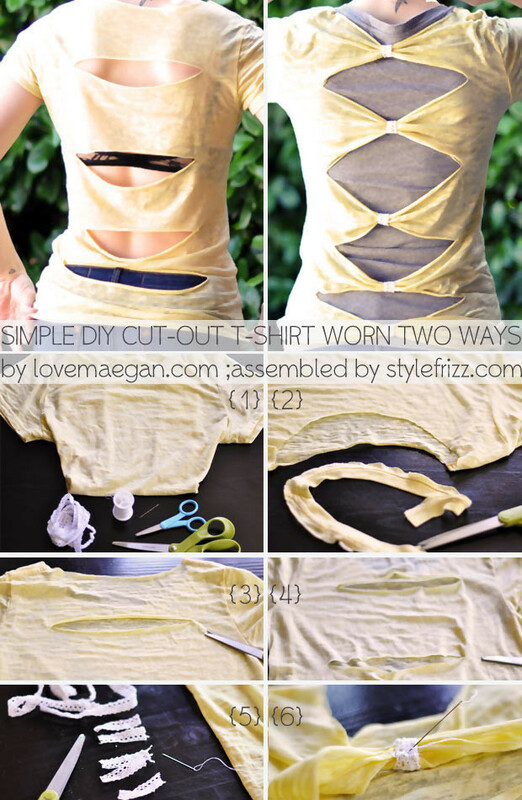 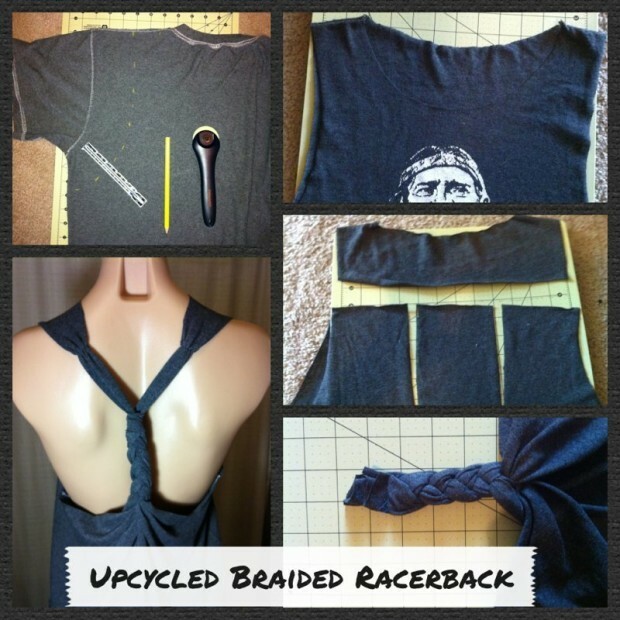 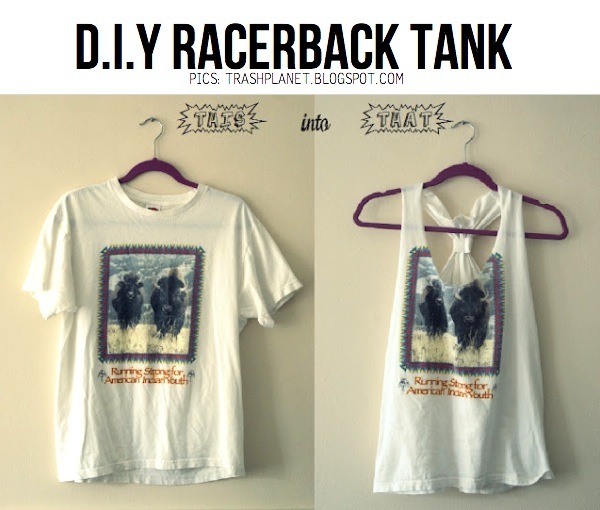 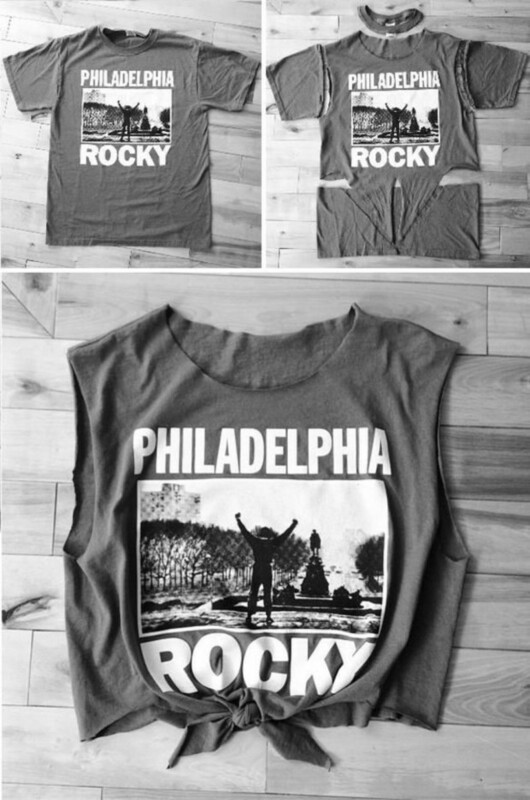 Those DIY T Shirt-Refashion Ideas are lovely!